If you’re an operator or local authority and you’re still pursuing a paper based, cash-first approach towards travel ticket purchasing then you’re missing out on a significant development in the world of public transportation. This is the best embodied by the ITSO smartcard initiative, which is prevalent across many areas of the UK and is revolutionising the way in which people plan journeys and buy tickets in the digital age. One particular initiative is active in Nottingham, and it’s known as the Robin Hood ITSO smartcard scheme. But what exactly is this, and what effect has it had on public transport in the region? What is the Robin Hood ITSO Smartcard Initiative? 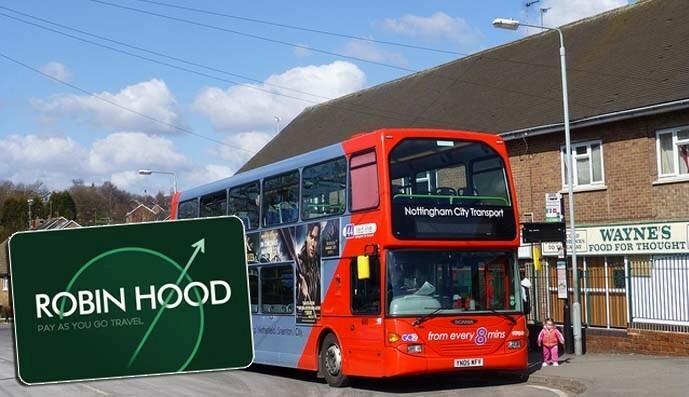 In headline terms, the Robin Hood ITSO smartcard initiative was launched back in 2015, as part of Nottingham County Council’s drive to deliver more convenient and cost-effective travel across the region’s public transport network. Back then, Nottingham was home to several transport operators, each of which operated under their own banner and utilised variable ticketing systems and payment options. This created significant challenges in terms of convenience and savings, particularly when passengers were looking to book multi-leg journeys across both bus and rail. The Robin Hood ITSO scheme was therefore developed to help resolve these issues, and one of the first challenges facing Councillors was to bring the region’s independent operators together under one unified banner. This required bus, tram and train operators in the city to work closely with one another, in order to leverage an integrated and comprehensive ticketing system that delivered genuine value to passengers. From a practical perspective, this was achieved by utilising so-called SMART ticketing solutions, with manufacturers like Cammax producing a range of cutting-edge ITSO-based SMART ticket vending machines. These solutions, which enable passengers to purchase tickets via machines at convenient locations- or even via mobile apps- ultimately provided commercial standard smartcard ticketing to the general public and commuters throughout the city of Nottingham. Not only did this initiative provide a seamless and universal standard in SMART ticketing in Nottingham, but it also enabled passengers to access flexible and cost-effective fares for multi-leg journeys. This included instantly paying for tickets and fares with a single press of a button, while Cammax’ advanced SMART ticketing machines also offered additional services that allowed travellers to plan journeys and access live travel data as and when required. Three years after the initiative was adopted in Nottingham, the nature of travelling on public transportation has been completely transformed and boarding times have reduced considerably across the region. In fact, as revealed by the Gedling Eye, just over a year ago pay-as-you-go travel smartcards used by commuters in Gedling, Nottinghamshire, broke through the £1 million sales mark just a year after launch thanks in part to the roll-out of Cammax TVMs (Ticket Vending Machines) in the region. The collaboration between Nottingham City Council and Cammax has certainly been progressive, with an initial 82 ITSO Smart Outdoor Card Dispensing Machines and six indoor TMVs having been deployed in stations and prime city centre locations during 2015. In total, there are now around 150 smart kiosks in total in Nottingham, each of which are capable of delivering convenience, efficiency and cost-effective travel to residents. Interestingly, Nottingham also has the highest city centre penetration of smart ticketing solutions in the UK outside of London and this trend is unlikely to change any time soon. If you’re interested in the benefits of SMART ticketing solutions then please get in touch with a member of the Cammax team to find out how we can help.